When: March 7th, Doors open at 7 p.m.
Come hangout before the term is over to share your best winter memories! Be sure to bring a your own lawn chair, pillow, and/or blanket as seating is limited but there is plenty of floor space. 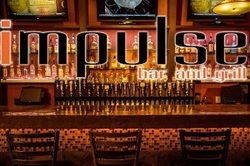 Impulse will have full bar and food service for you to get some grub and some drinks for the movie. Enter the end of show raffle to win some goodies! A sticker table will be present as usual so you can stock up on decals. We want to keep the shred stoke ABLAZE! A Rome SDS snowboard is the grand grize for the raffle!! One raffle ticket with entry - additional raffle tix are $2 each, $10 for 6, or $20 for 15 tickets. other prizes include sweet swag from our supporters Blackstrap, Sandbox, Rome SDS, Choad Cheese Wax, and Tactics.